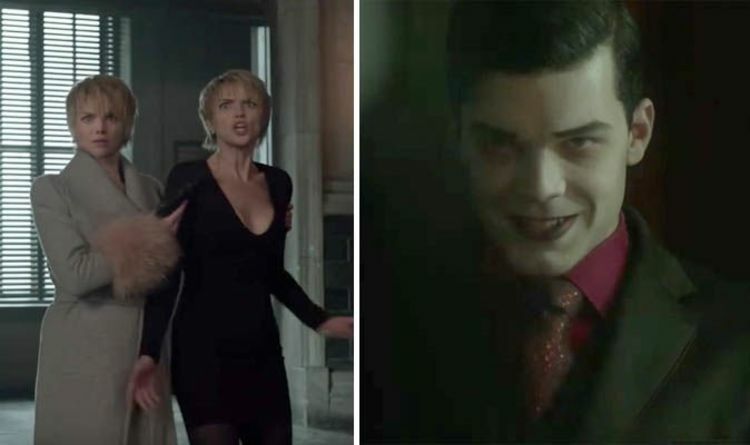 Gotham’s Season 5 Episode 8, “Nothing’s Shocking” promo nicely sums the wacky and wonderful insanity achieved by the series in its last few seasons. After Thursday’s episode, the promo footage for “Nothing’s shocking” was released and it does deliver so many promises. Going by the promo, it doesn’t look like the new episode will continue any of the villain stores going on in Gotham presently. These obviously surround the narrative around Jeremiah Valeska and Eduardo Dorrance. Jeremiah was last seen in Thursday’s episode where he got dropped into a vat of chemicals which destroyed his brain. Eduardo was seen a couple of weeks ago, getting a metal pipe shoved right through his chest. However, he got saved by Walker at the final minute, kicking off the origins of Bane. What Happens With Barbara Kean? Also Read: The Flash: Did an ‘Evil Batman’ From The ‘Dark Multiverse’ Just Join The Arrowverse? While neither of these villains seem to be prominent in Gotham’s “Nothing’s Shocking”, we are going to see Barbara Kean. Towards the end of the promo, Barbara was seen holding another Barbara hostage, leaving everyone in Gotham to wonder which one is the real Barbara. So far, Barbara has been a significant character on Gotham, but the last season is given her an even bigger role than earlier. After a one-night-stand with Jim Gordon, it was revealed that she was pregnant. This adds another turn to their already complicated relationship. During a recent interview with Comicbook.com, Gotham producer John Stephens talked about the relationship between Barbara and Jim. He also teased some big moments that were on the way.